Wool dryer balls are made of natural materials, and will reduce static and speed up drying times by 25% or more to save you time and money. Dryer balls will gently soften your cloth diapers, but why stop there? Wool dryer balls will gently soften your cloth diapers, reduce static, and save you money on your electricity bills, too! Fabric softener and dryer sheets can create major problems with cloth diapers. Both contain chemicals that will build up in your diapers, creating residues that reduce absorbency. 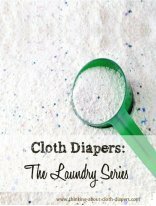 If you’re using cloth diapers, it’s best to quit using dryer sheets altogether. 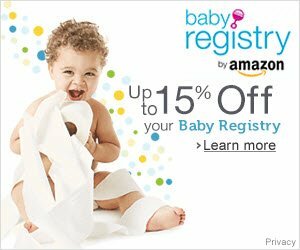 Even if you don’t use them with your diapers, if you use them for other loads of laundry, they can cause residue to build up in the drum of the dryer, and this can rub off on your diapers during the next load. Microfiber inserts can be especially prone to static in the dryer, so dryer balls (either PVC plastic or wool) are a must! They're also great for natural fibers, as they do a great job softening up stiff cotton and hemp. Your clothes dryer is the second largest energy hog in your house (after your refrigerator). If line-drying your clothes isn’t possible, using wool dryer balls will speed up drying times, by 25% or more, depending on the size of the load and how many dryer balls you use. How Many Dryer Balls Should I Use? For small loads, add 2 to 4 dryer balls. For big loads, the more you use, the better! For loads of towels and jeans, I add upwards of 6 (when my son or pet ferret haven’t taken off with them!) Did I mention that they make great toys, and they’re safe to throw in the house? Are Wool Dryer Balls Better Than Plastic? You may be familiar with plastic dryer balls. I used these for several years before I discovered the wool version. If you’re already using plastic dryer balls or tennis balls, you’ll be familiar with their benefits. Both versions reduce static and separate layers of clothing, increasing the circulation of warm dry air. So why switch to wool? I’m sure you’ve noticed how noisy plastic balls are as they bounce around in your clothes dryer! We have laundry on our second floor, and once we switched to wool, I was so glad to be able to dry diapers during nap time again! Wool dryer balls will save you time and reduce your energy costs. Unlike the PVC dryer balls, the wool ones will absorb water from your clothes as they tumble around, speeding up your drying times. Wool is completely natural and non-toxic. If you’re like me, before your baby came along, you may not have ever given much thought to the unseen chemicals those plastic dryer balls emit when heated. 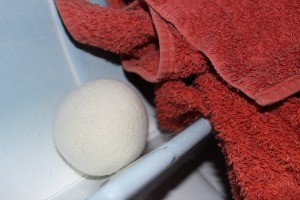 As an added bonus, wool dryer balls are much gentler on your laundry... did you ever have to pull one of the spiky PVC dryer balls from your clothes after it got tangled up in the dryer? I’ve found them caught in the sleeves of my shirts and could clearly see the spot where it got stuck even after the shirt had hung in the closet for a week. Wool dryer balls are usually 5-7 inches in diameter, ranging from roughly the size of a tennis ball to the size of a softball. Personally, I prefer bigger ones since they are much easier to sort out of the laundry! No matter how they are constructed, dryer balls that are made from 100% wool all offer the same benefit to you. My personal favorite dryer balls are those that are felted using wool batting, because unlike most of the alternatives, they are nearly impossible to to destroy, and will not unravel over time. I was recently given the opportunity to test out six Woolzies Dryer Balls. Each of these dryer balls is about 4" in diameter (about the size of a tennis ball), and is hand-made in Nepal with 100% New Zealand wool. 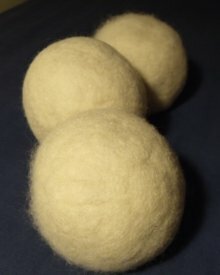 I have been using wool dryer balls that I made myself from wool batting, so I wasn't sure how different the ones from Woolzies, which are also felted from wool batting, would be. So, How Did Woolzies Compare? Since we line-dry a lot of our laundry during the summer, I tested the Woolzies Dryer Balls for almost a month with a variety of different size loads. These balls are firm and hold their shape well, and they do a wonderful job of reducing static in microfiber diaper inserts, and softening up towels, jeans, and other items, too! I like that they are a natural white color that makes them easy to sort them out from the rest of my laundry as I unload the dry clothes into a basket. I found that over time, these wool dryer balls started to show some pilling, but this doesn't affect their function at all. Woolzies offers a guarantee on their dryer balls for 1,000 loads of laundry! If you dry a half dozen loads each week, that means your dryer balls will last for more than 3 years! Where Can I Get Some Wool Dryer Balls? We found Woolzies was one of the most affordable wool dryer ball options available. You can pick up a set of 6 dryer balls from the Woolzies website for $35.99 (S&H including in the US and Canada, and flat-rate international shipping), or check out Amazon.com. They’re also very easy and affordable to make yourself. 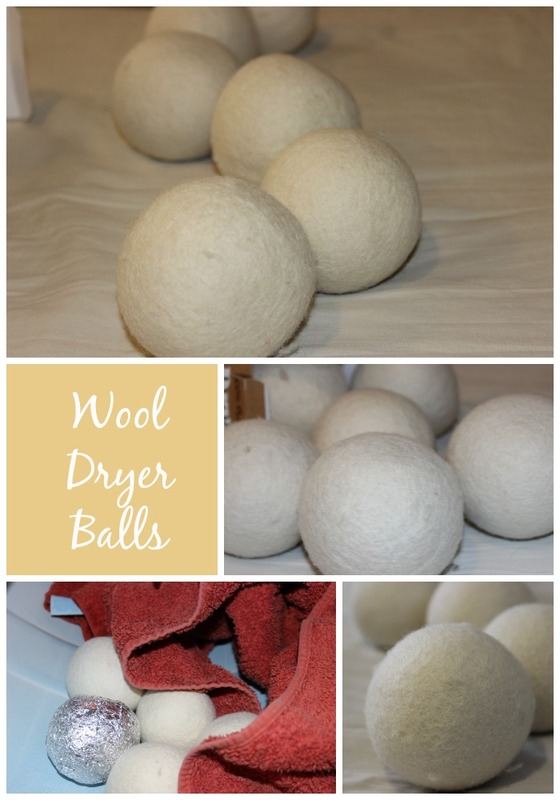 If you’d like to make your own, check out my tutorial on how to make wool dryer balls. 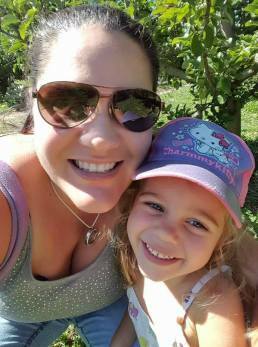 If your biggest concern with cloth diapers is handling poop, the cloth diaper sprayer may become your most essential cloth diapering accessory! Perfect for easy clean-up and to extend the life of your diapers!